2018 has gotten off to a very busy start, and I have much to update you about. Since the beginning of the year, I have introduced 20 bills, been appointed Chair of the new Select Committee on the Census, and hosted several committee hearings and district events. I hope you enjoy the updates below! Every Californian Counts. Get Counted in the 2020 Census. In February, I was appointed Chair of the newly established Assembly Select Committee on the Census. The United States Census Bureau conducts a survey of everyone living in the country every ten years. The data is then used to determine the number of seats each state has in the House of Representatives and to distribute more than $675 billion in federal funding to states for healthcare, education, infrastructure, and other critical services. The California Department of Finance estimates that the state and local governments will receive approximately $1,950 per resident per year in federal funding that is allocated based on Census counts. As such, an undercount of California’s population could cost California billions of dollars of federal funds. With so much at stake, it is critically important that every resident in California is counted in the 2020 Census. Unfortunately, we face unprecedented challenges to securing a complete and accurate count in the upcoming census. Fiery rhetoric from Washington and a new census question unnecessarily asking people about their citizenship have many of our friends and neighbors too fearful to participate. Other obstacles stand in the way too. The United State Census Bureau has had to cancel tests that were intended to start identifying challenges that will be posed by the new Internet-based methodology for Census response. Additionally, California is home to 10 of the nation’s 50 hardest-to-count counties – regions where the self-response rate to the census questionnaire has historically been low. Governor Brown has proposed $40.3 million to fund Census outreach in his budget, every dollar of which is critical to our effort to ensure California’s large and diverse population is fully counted. 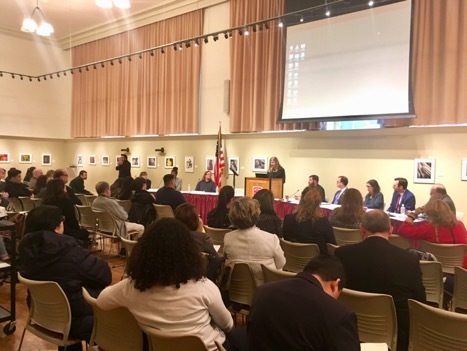 The Select Committee on the Census will work closely with the Brown administration in preparation for the census, assist with outreach, and hold informational hearings across the state to raise awareness about, and encourage participation in, the 2020 Census. After months of vetting and researching bill proposals, my legislative package for 2018 has been finalized. 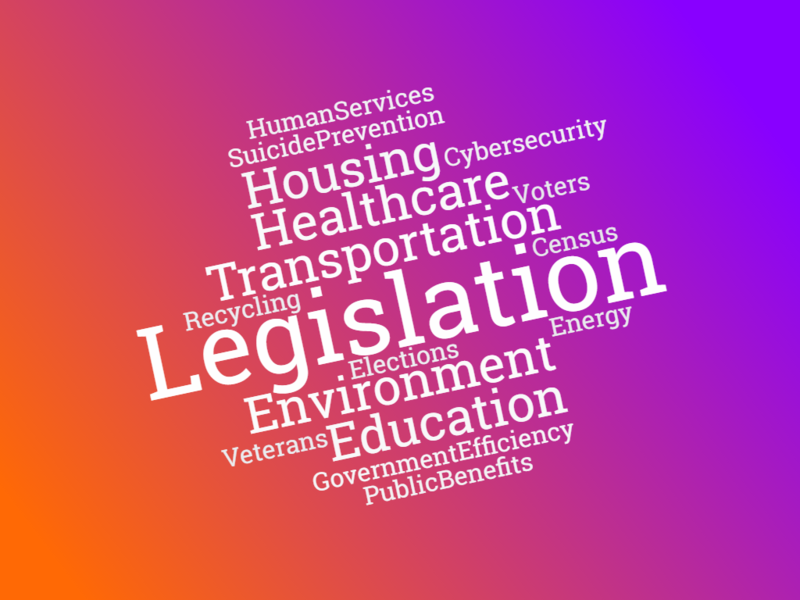 This year, I’m proud to author a number of bills related to elections, education, suicide prevention, housing, the 2020 Census, health, energy and the environment, veterans, and government accountability and efficiency. Assembly Bill 1678 would ensure that voter registration database information is stored securely in order to protect voter privacy. Assembly Bill 2218 would allow voters to track their vote by mail ballots through the mail system and as the ballot is processed by the county elections official. Assembly Bill 2245 would protect minors’ privacy by ensuring that the registration information of 16 and 17 years-olds who have pre-registered to vote may not be disclosed. Assembly Bill 2552 would clarify ballot instructions and improve ballot design to ensure voters clearly understand the ballot before them. Assembly Bill 3075 would create the Office of Elections Cybersecurity to coordinate efforts between federal, state, and local officials to prevent interference in our elections. Assembly Bill 3043 would expand access to school meals by unlocking funds for schools to provide Universal Breakfast and purchase mobile food facilities so that every student can count on a nutritious meal. Assembly Bill 2639 would offer online, evidence-based suicide prevention training to our schools so that staff have the necessary training to recognize the warning signs and take appropriate action. Assembly Bill 1804 would promote residential or mixed-use housing projects within urbanized areas to help address California’s housing needs. Assembly Bill 2592 would raise awareness about, and encourage participation in, the 2020 Census, by requiring the Secretary of State to include information about the census in public voting materials such as the state voter information guide. Assembly Bill 2367 would allow an original death certificate to be amended to correct typographic and other non-substantive errors. Assembly Bill 2941 would ensure that patients who have been displaced by a Governor declared state of emergency have continued access to medically necessary health care services. Assembly Bill 2278 would protect the viability of the Renewable Energy Self-Generation Bill Credit Transfer Program, which enables local governments and public colleges to invest in renewable energy projects that help California achieve its environmental, climate, and clean energy goals. Assembly Bill 2766 would re-establish California’s successful plastic market development program, which was created to encourage increased use of recycled beverage container material. Assembly Bill 2908 would establish the Tire Recycling Incentive Program to provide incentives for recycling tires. Assembly Bill 3133 would add the Secretary of the Natural Resources Agency as a member of the Public Works Board when the Board is hearing and deciding matters related to the acquisition resource-related properties, such as land for parks so that there is a member of the Board that can speak to the resources-related goals of the project. Assembly Bill 2607 would create the Medical Foster Home Pilot Program, offering veterans an affordable and individualized alternative to institutionalization. Assembly Bill 1957 would allow counties to use text, email, and phone messages to communicate with CalWORKS and CalFresh applicants and recipients, while ensuring that their due process and privacy rights are protected. 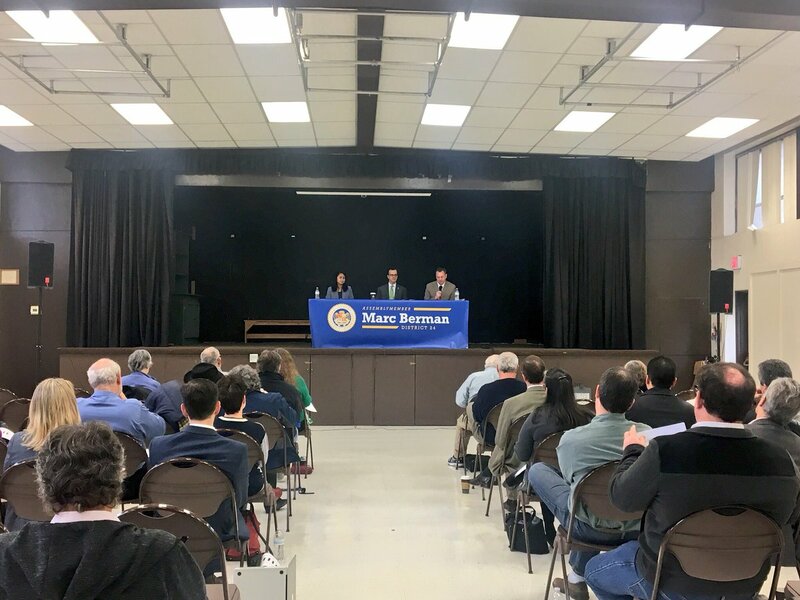 On Saturday, March 10th, I hosted an Education Town Hall at Hillview Community Center to discuss K-12 and early childhood education with local educators, school board members, and community members. We were joined by two analysts from the Legislative Analyst’s Office who shared their expertise of the state’s budget, legislation related to education, and a range of other topics. After their presentations, the town hall was opened up for questions from the audience. Attendees emphasized the need to continue to increase funding for all levels of education, including early childhood education. This will be an annual event moving forward, and I look forward to working with stakeholders in our community to ensure that every student receives an education that prepares him or her for a lifetime of success. On March 7th, the Assembly Elections and Redistricting Committee and the Senate Elections and Constitutional Amendments Committee convened for a joint legislative hearing to discuss continued efforts by foreign operatives to influence U.S. elections and to identify additional ways to shield California’s voting systems from increasingly sophisticated attacks. We heard from cybersecurity experts and elections officials, including Secretary of State Alex Padilla, Matthew Masterson, a commissioner with the United States Election Assistance Commission, Pamela Smith, a special advisor and former president at Verified Voting, and Andrew Grotto, the former Senior Director for Cybersecurity Policy for President Trump and President Obama, as well as county elections officials. Our voting systems were not hacked during the 2016 elections, but they are under constant threat. This is why it’s critical that we remain vigilant and take proactive steps to protect our elections from interference. Governor Brown allocated $134.3 million in his 2018-19 budget to replace voting systems in all 58 counties, an important step forward in ensuring the security, integrity, and accuracy of our elections. For more about the steps California has taken to protect our elections, read the op-ed Senator Henry Stern and I wrote for The Sacramento Bee. On Thursday, February 22nd, my staff and I hosted our second annual 24th Assembly District Office Open House. 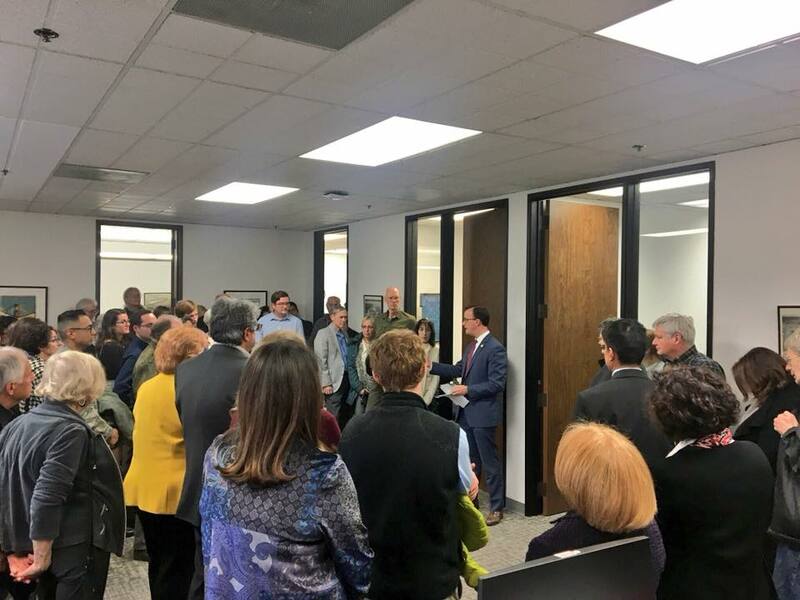 I was honored to have so many of you – nearly 100 people – there to meet me and my staff, see where we work, and talk about important issues in our state and community. I had an opportunity to give a quick legislative update, followed by an extensive Q&A session, during which the audience and I discussed such topics as: the State’s role in the federal census; reform of our higher education system; legislation related to housing; the DISCLOSE Act; the Sexual Assault Survivors’ Bill of Rights; and much, much more. I also had an opportunity, both before and after the program, to chat with nearly every attendee one-on-one. Many thanks to everyone who joined us, and I look forward to welcoming you all again at next year’s District Office Open House! 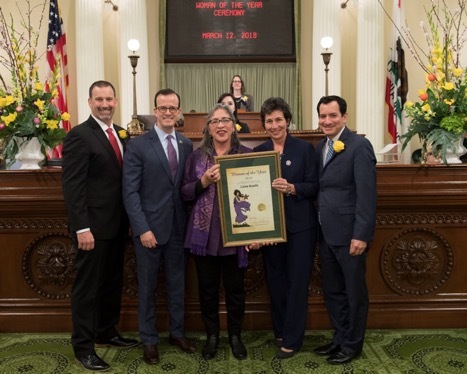 It was my honor to recognize Luisa Buada as Woman of the Yeaer for her extraordinary work in the 24th Assembly District. For over three decades, Luisa has expanded access to health care to tens of thousands of residents who would not otherwise have care. The daughter of a Filipino farm worker and a nurse, Luisa has been a lifelong advocate for farmworkers' rights and health care for all. As a teenager, she witnessed the poor health conditions of migrant farmworkers while volunteering with the United Farm Workers’ Union alongside Cesar Chavez. Just out of nursing school, Luisa founded a community health center for farmworkers in the Salinas Valley – Clínica Popular del Valle de Salinas. She also founded the Berkeley Primary Access Clinic and was integral in the establishment of LifeLong Medical Care. 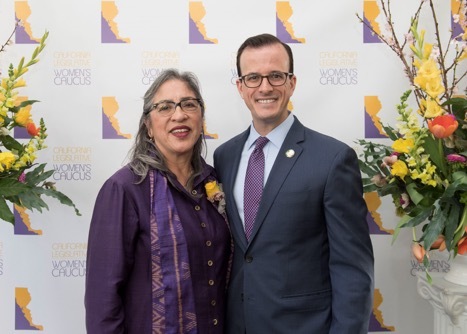 As Chief Executive Officer for that last 15 years, Luisa revitalized the Ravenswood Family Health Center, which provides critically-needed health care services to predominantly low-income, uninsured, and undocumented residents in East Palo Alto, Belle Haven, and North Fair Oaks. Under Luisa’s leadership, Ravenswood Family Health Center has grown from 13 employees to over 200 and from a modular building into a 38,300 sq. ft. custom-built facility. Today, Ravenswood Family Health Center offers comprehensive, multigenerational health care, along with dental, optometry, pharmacy, and preventative health services. With limited resources, Luisa is creating healthier communities, one patient at a time. 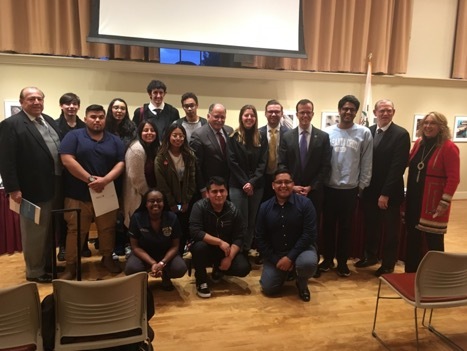 On Thursday, March 1st, the Select Committee on the Master Plan for Higher Education in California met with students and education leaders to discuss college affordability and students’ needs. 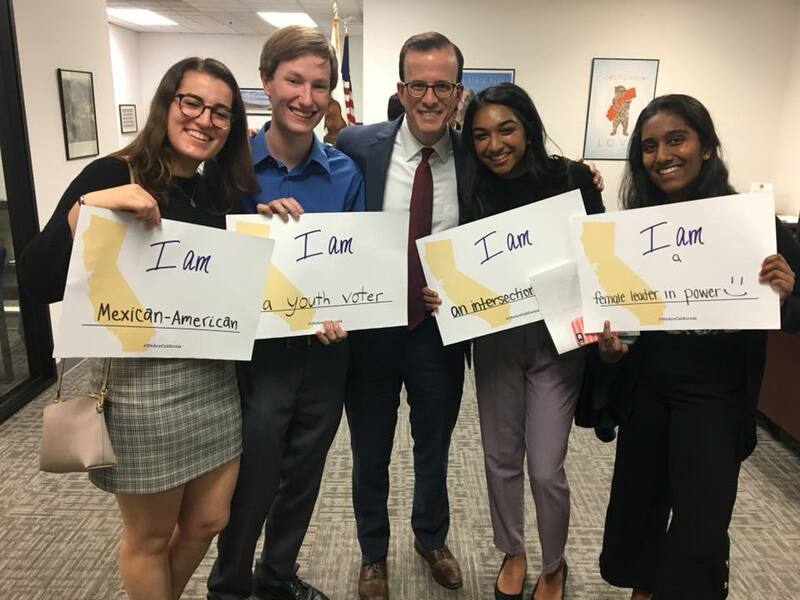 I was incredibly moved by the powerful, passionate, and very personal stories we heard from students across California. Students traveled several hours to be there from UC Santa Barbara, UC Santa Cruz, and other universities. While college is meant to be intellectually challenging, far too many of today’s students are facing life challenges that reach far outside the lecture hall. The total cost of attending college – for food, housing, and health care, in addition to tuition and books – is crippling students and undermining their ability to succeed in the classroom. Many students are struggling to make ends meet, working multiple jobs, and relying on food pantries to eat and friends’ couches to sleep on. I’m grateful to the students who shared their stories, and I look forward to working with them to address the issues they raised. 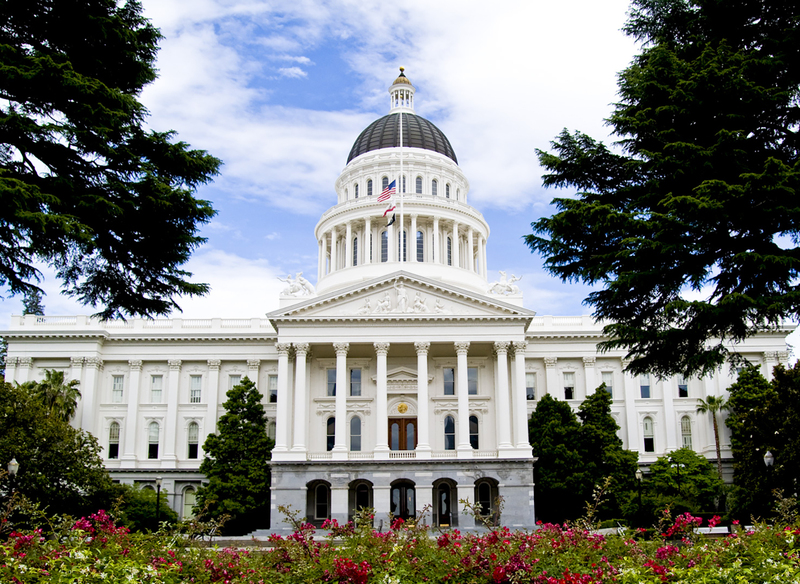 The Select Committee on the Master Plan will hold two more hearings this year as part of its multiyear review of the California Master Plan, the document that has guided the state’s higher education systems since 1960.